From the November 2014 price of $106 per barrel crude oil prices dipped to as low as $26 per barrel in January 2016 and remained flat for much of the year. 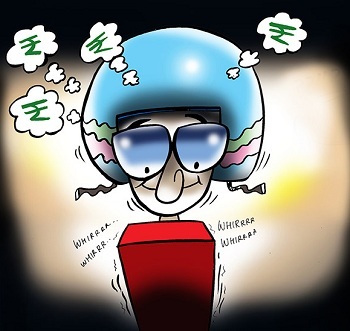 Did the fuel prices reflect that, asks Monali Sarkar. 'This decision to hike #petrol prices taken a day after the ending of Parliament session is a stinging rebuke to the dignity of Parliament,' Narendra Modi had tweeted in May 2012 when he was the chief minister of Gujarat and the Manmohan Singh-led UPA government was in power at the Centre. But in in announcing its latest fuel price hike -- as many observers have pointed out -- Prime Minister Modi's government made an almost identical decision. The price revision was to come into effect on December 15, but was deferred till the night of December 16 -- the last day of the winter session of Parliament -- possibly to save the demonetisation-battered government from any blushes in both Houses. The petrol price was hiked by Rs 2.21 a litre and diesel by Rs 1.79 per litre, excluding local levies. 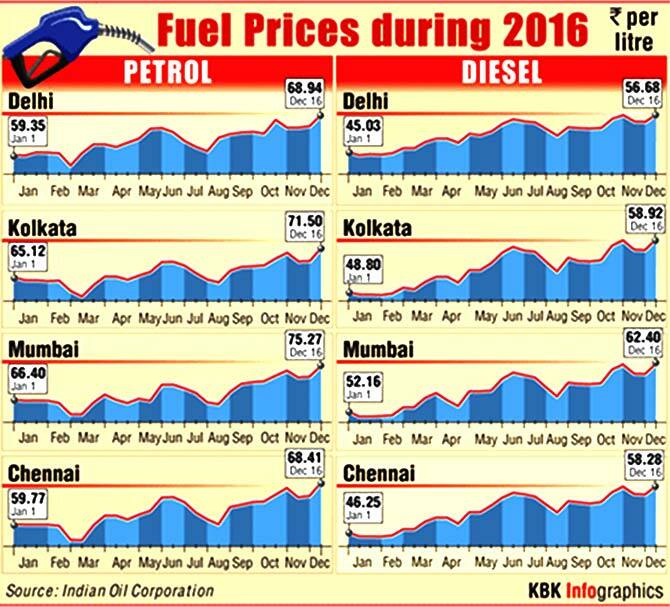 Rates were last revised on December 1 when the petrol price was hiked by a marginal 13 paise a litre, but diesel rates were cut by 12 paise. Prior to that, rates were hiked by Rs 1.46 a litre in the case of petrol and Rs 1.53 per litre for diesel, excluding local levies, on November 16. A look back at how petrol and diesel became dearer in 2016.